Considering the cost of insurance, fuel, and payments on a vehicle, driving can certainly be an expensive undertaking. Nobody likes to throw their hard-earned money out of the window. That is why drivers need to be more aware of how their tires can affect fuel costs over time. The next time you experience pain at the pump, remember to check on your vehicle’s tires to ensure they are giving you the best performance. The easiest and most important method of saving money on fuel is to check the air pressure in your tires. Even the most inexperienced drivers can master this process. A cheap tire pressure gauge is the only tool that you will need for the job. Just don’t be afraid to get dirty! The first thing that you will want to know is what the tire pressure should be set at. Fortunately, this information can easily be found in one of two places. Check the owner’s manual first. But if the manual is missing in action, then check the driver’s side door. If your driver’s side door is missing, then you have a bigger problem than needing to save money on fuel! Tires should be checked and inflated to proper levels at least once a month. The alignment of your vehicle can help you to save on fuel costs as well. No, we are not talking about astrology here. The front end of your vehicle needs to be properly aligned approximately every year or 12,000 miles. If you are a particularly bad driver who happens to have frequent run-ins with pot holes, then you might want to have it checked more often. The alignment affects fuel economy by allowing the tires to do their job (i.e. roll straight). A tire that is misaligned will cause the vehicle to ever so slightly drag down the highway. It might not seem like a big deal, but imagine how much effort it would take to ride a bike if you had the front tire turned sideways. Your car’s engine has to make up for the extra drag with more gas. Get the alignment checked on your car regularly and you won’t be wasting precious money on fuel. Rotating tires on a vehicle is also very important. I know what you might be thinking: “My tires rotate every time I drive them!” However, tires also need to be rotated from the front to the back of the vehicle regularly. The weight of the engine is one of many factors that can cause uneven wear on a tire. Surprisingly, this can have a big impact on fuel economy as well. 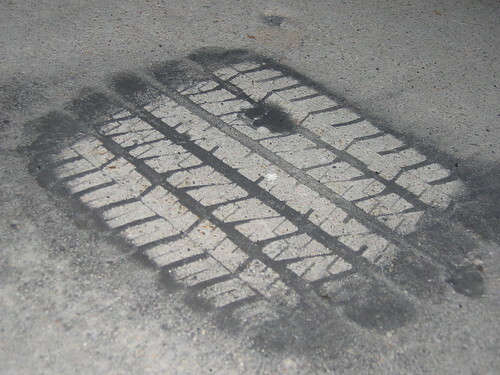 If your tires prematurely wear, then you will have less traction to accelerate. Not only does this increase fuel usage, but it is also unsafe as well. The solution is to have your mechanic rotate the tires every other oil change.